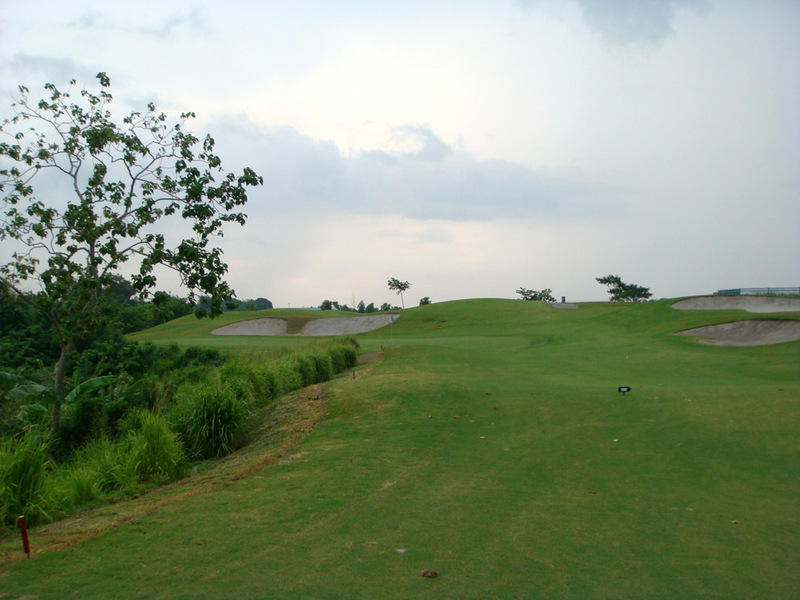 Eagle Ridge GC boasts 4 championship courses developed on moderately hilly terrain: Nick Faldo, Andy Dye, Greg Norman & Isao Aoki Courses. 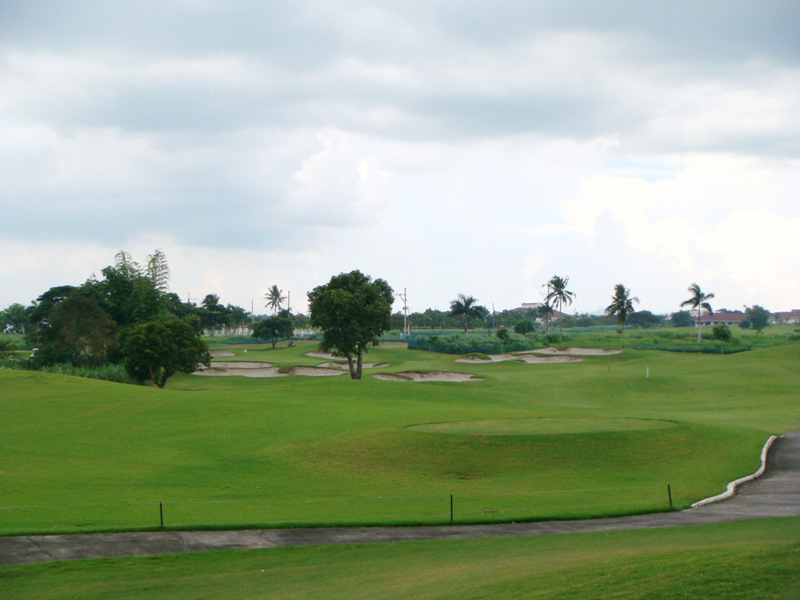 The Norman Course features ample rolling fairways, sculptured bunkers and large undulating greens. 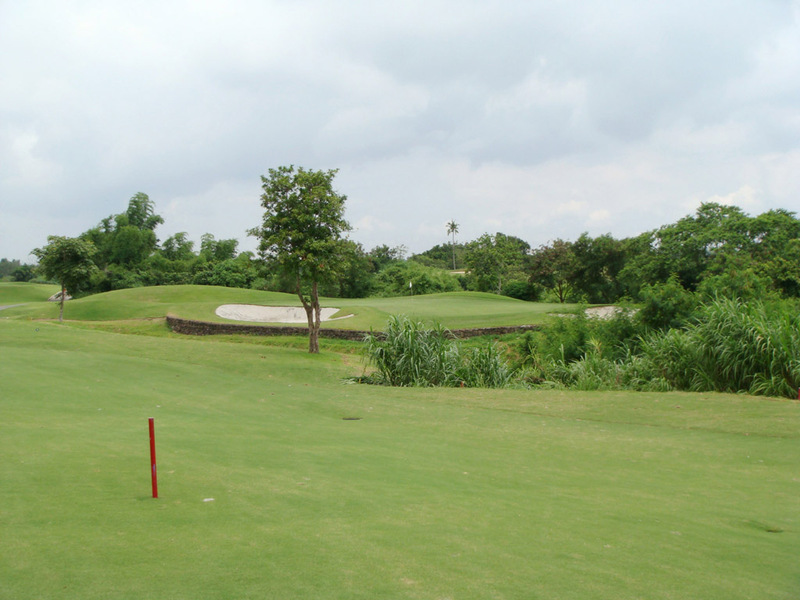 Deep ravines run along some holes, which enhance the beauty of the course as well as the strategic layout. 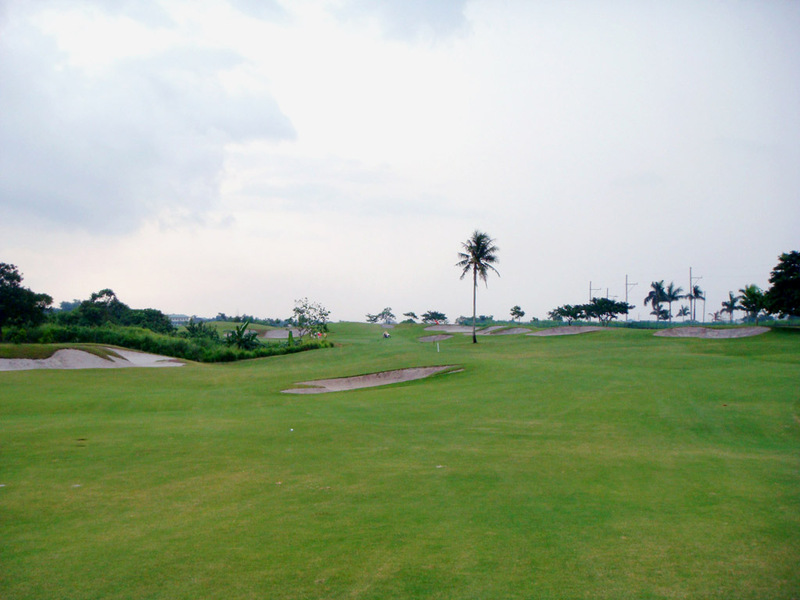 A sharp dogleg to the right, a par 4. The tee shot is downhill. The fairway is narrow with OB not far on the left and a hazard, reachable due to the downhill factor, on the right 260 yards off the tee. The second shot is over a small river. The green is 45 yards deep with a big mound at the back, forming double tiers. 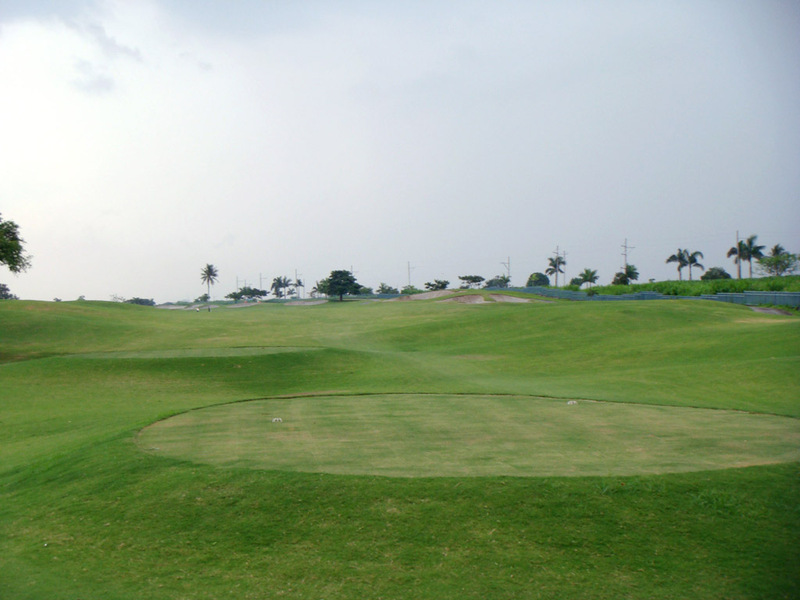 A difficult par 5 with a dogleg to the right followed by one to the left. 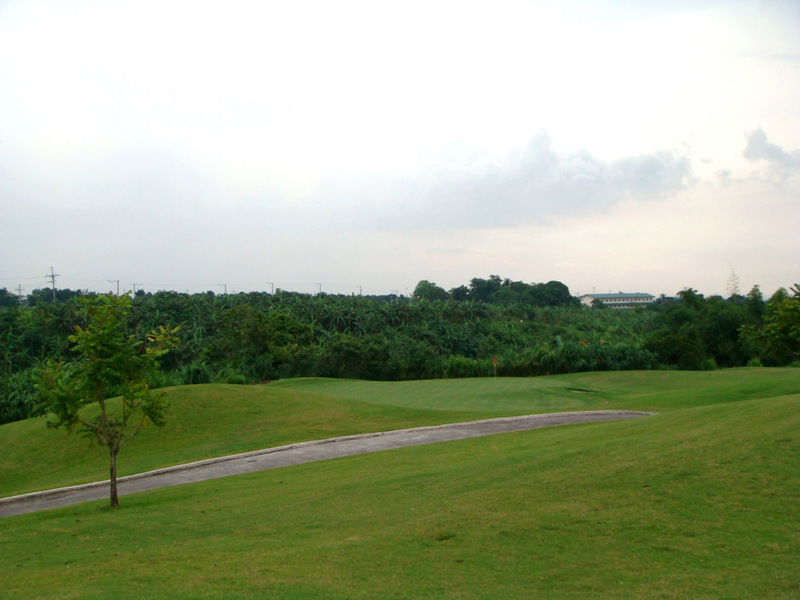 A creek on the right and a bunker on the left, 250 yards from the tee, come into play off the tee. 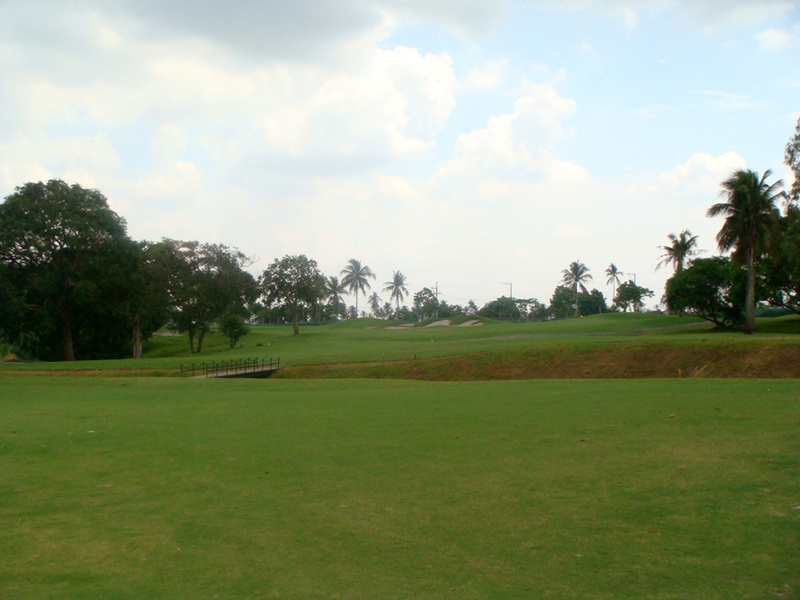 Two bunkers on the left of the fairway make the landing area on the second shot very narrow. The green is small and heavily contoured with a ridge from top to bottom. A charming par 3. 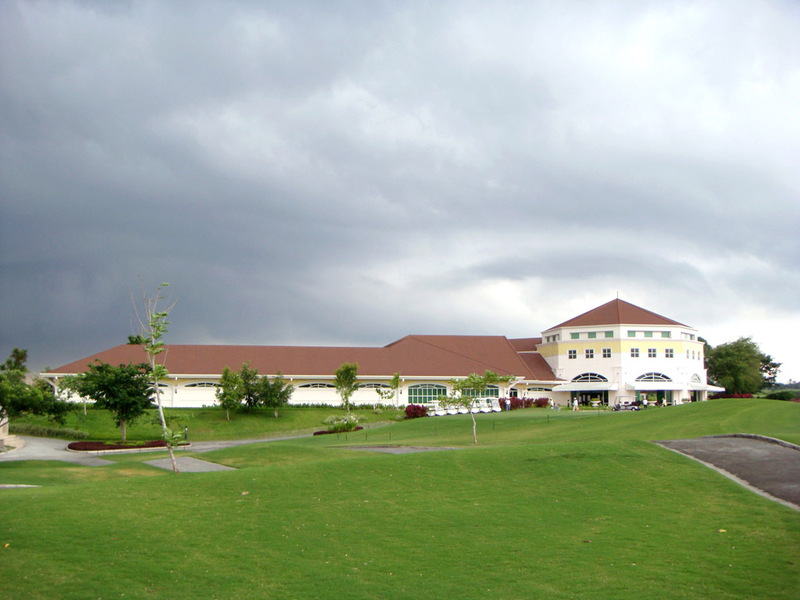 The green is elevated with a ridge in the center. 2 deep bunkers guard the left side of the green. 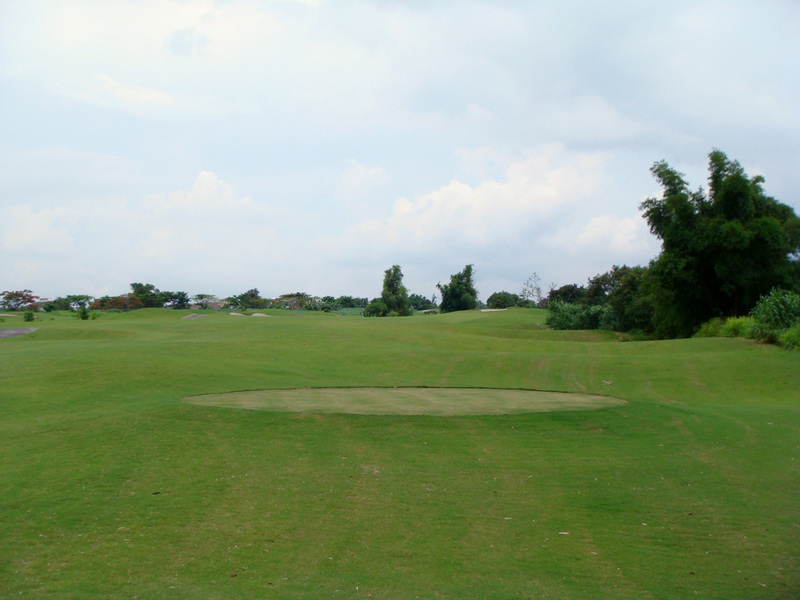 A short par 4 dogleg to the right, . 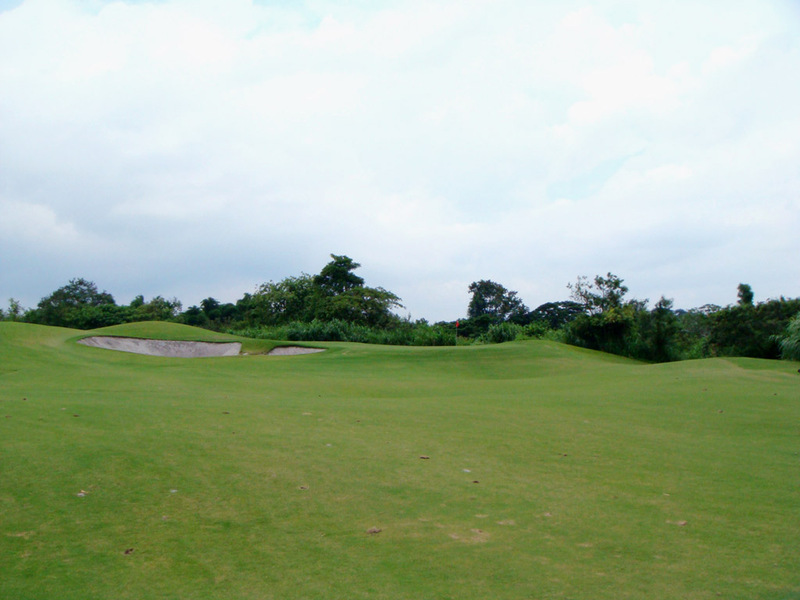 Bunkering on the fairway is superb. You need to make a decision off the tee whether you use a driver to have longer distance or a fairway wood or so to play safely. A slight dogleg to the left, a par 5. 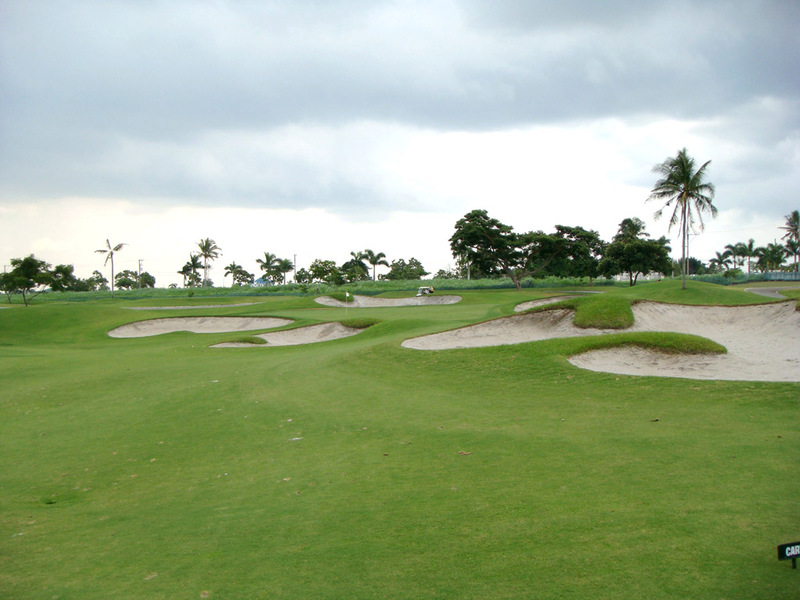 The landing area of the second shot is squeezed by a hazard on the left and 2 bunkers on the right. 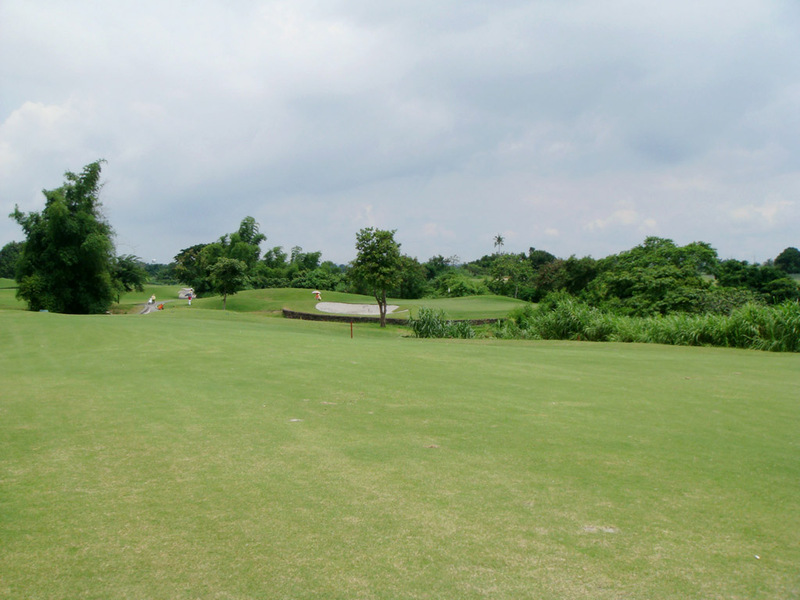 The green is fronted by a hazard, which makes it difficult for long hitters to hit the green in 2. 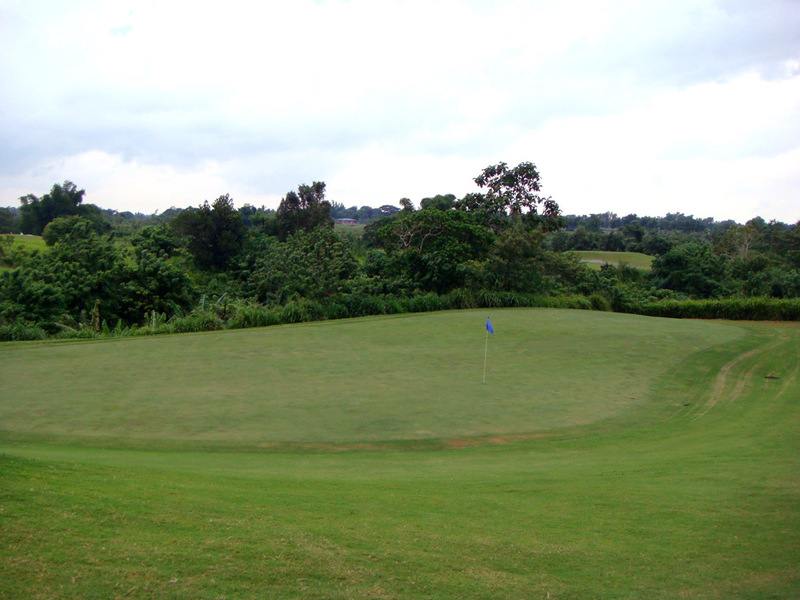 A par 3 with a superb view of various trees growing on the slopes of a ravine running from the right to the back of the green. 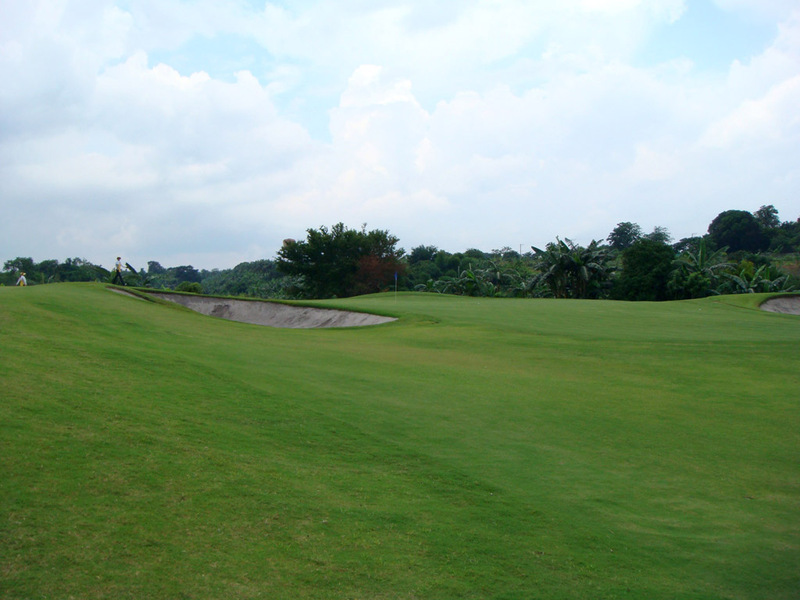 The green is deep & narrow and guarded by bunkers on both sides. 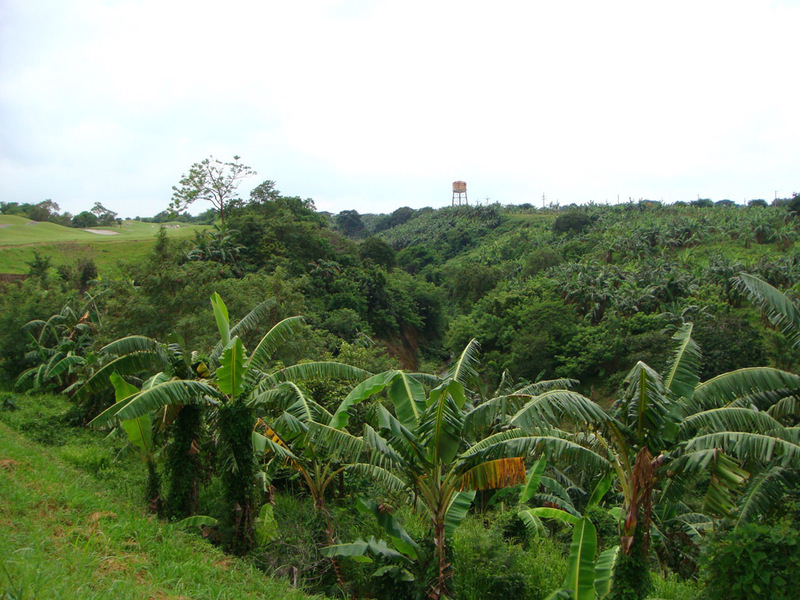 You must pay attention to the ravine on the right which is close to the right edge of the green. 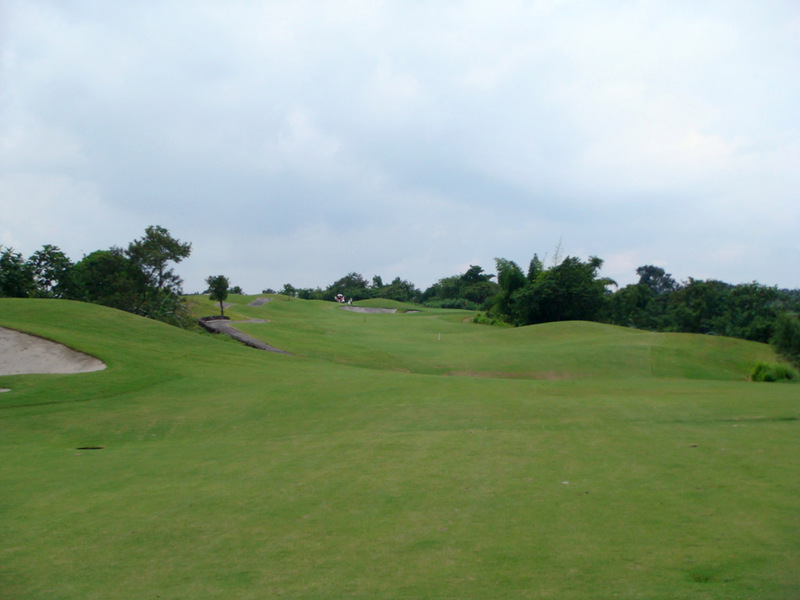 An almost straight, uphill par 5. 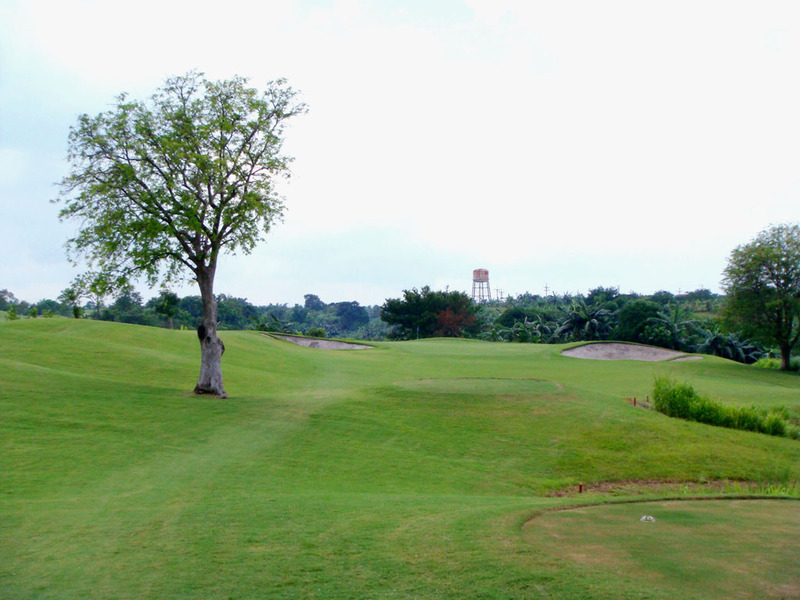 The tee shot is over a ravine which extends along the right. 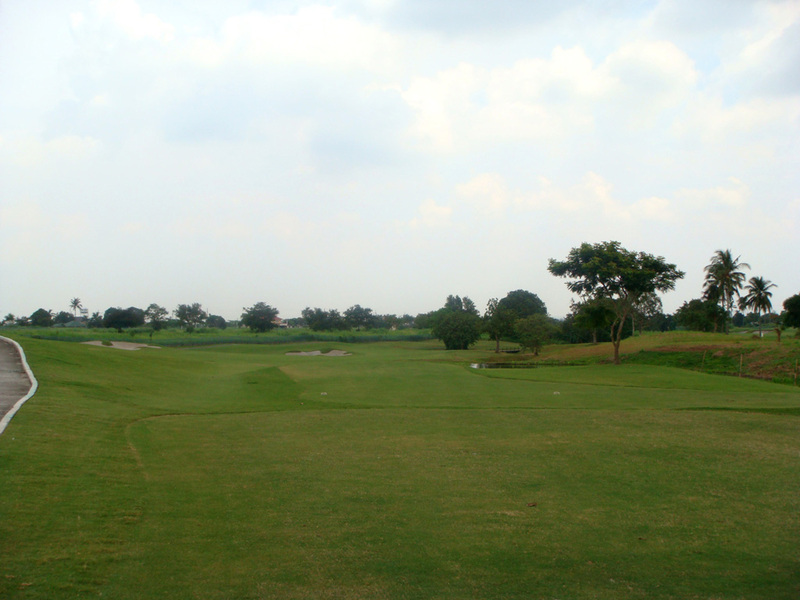 The fairway off the tee and second shot landing area are narrow with a ravine on the left. 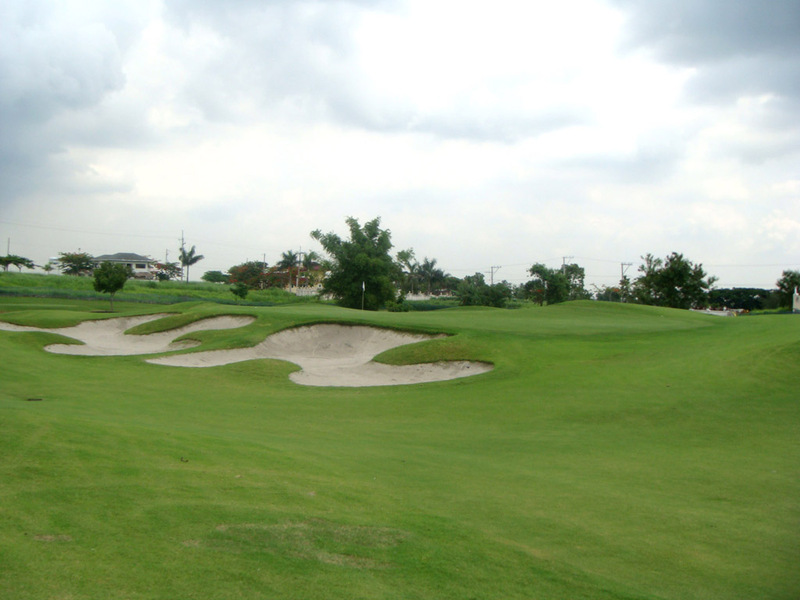 The green is elevated, sloping from back to front, and is protected by a deep bunker on the left and a ravine bordering the right edge of the green. You need back spin on the third shot to have it bite as the ravine also approaches the back of the green. 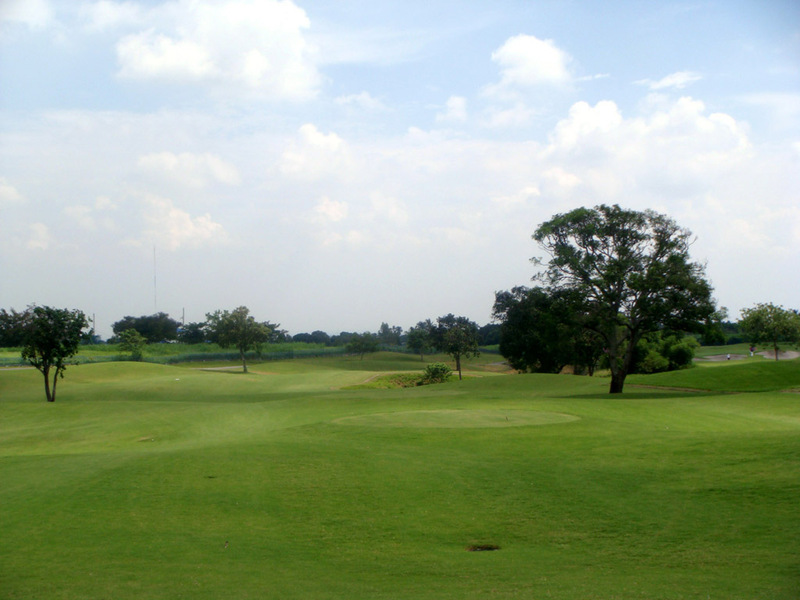 A dogleg to the right, a par 4. 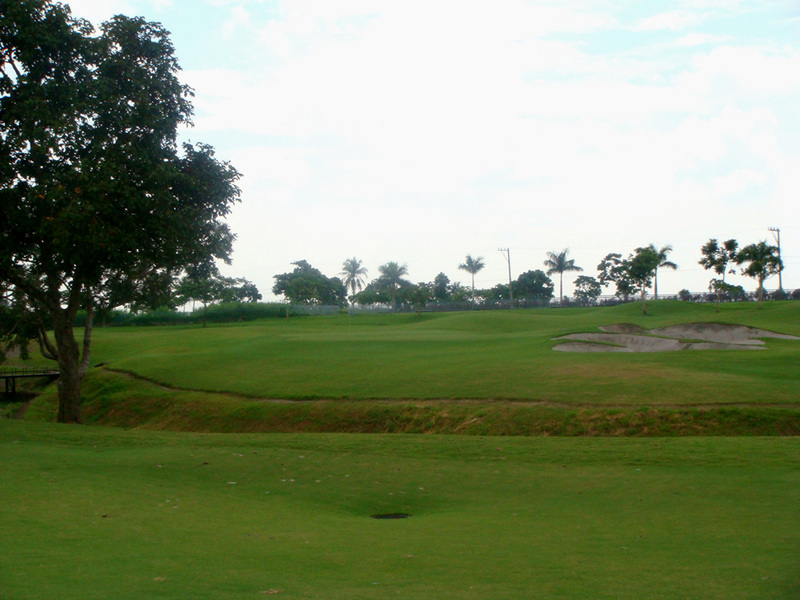 A ravine runs along the right side of the fairway and then crosses in front of the green. Not only the ravine in front of the green but a bunker guarding the front left of the green come into play on the second shot. 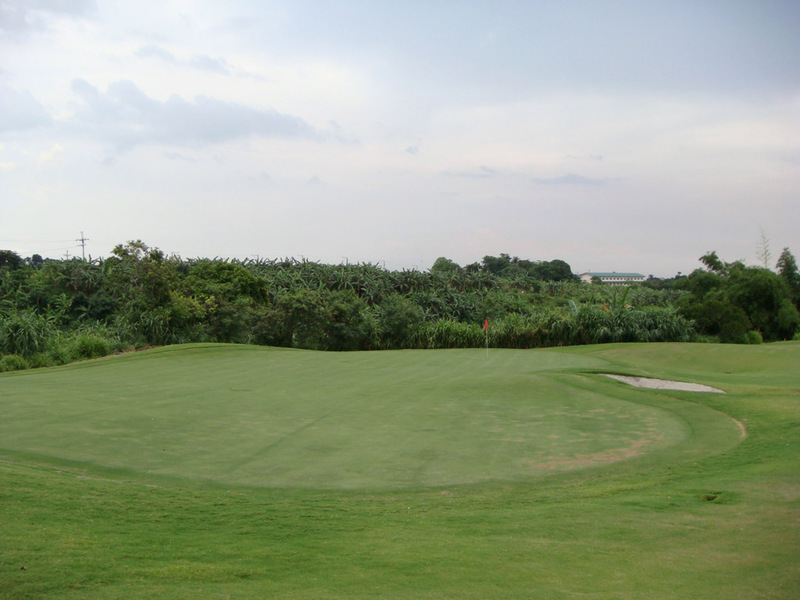 The green is deep with a distinct ridge in the center, so make sure you use enough club if the pin is in the back. 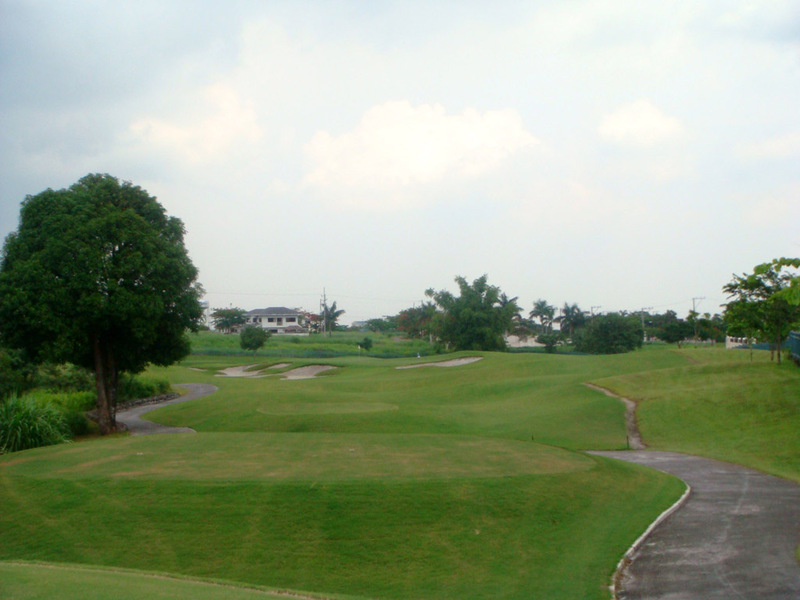 It is a 1 hour & 20 minute drive from Makati. 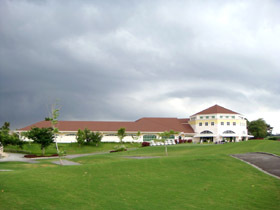 Visitors can play here but it is hard to book. 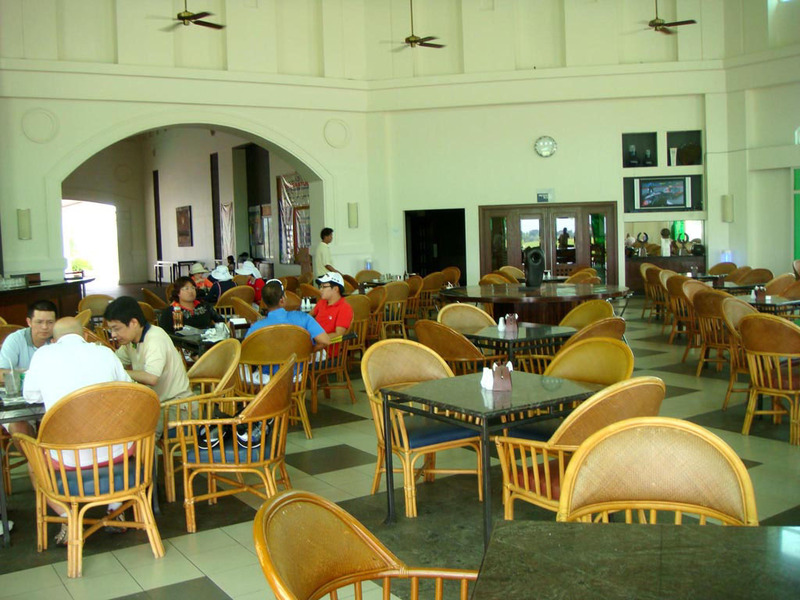 The Nick Faldo and Greg Norman Courses share the clubhouse. 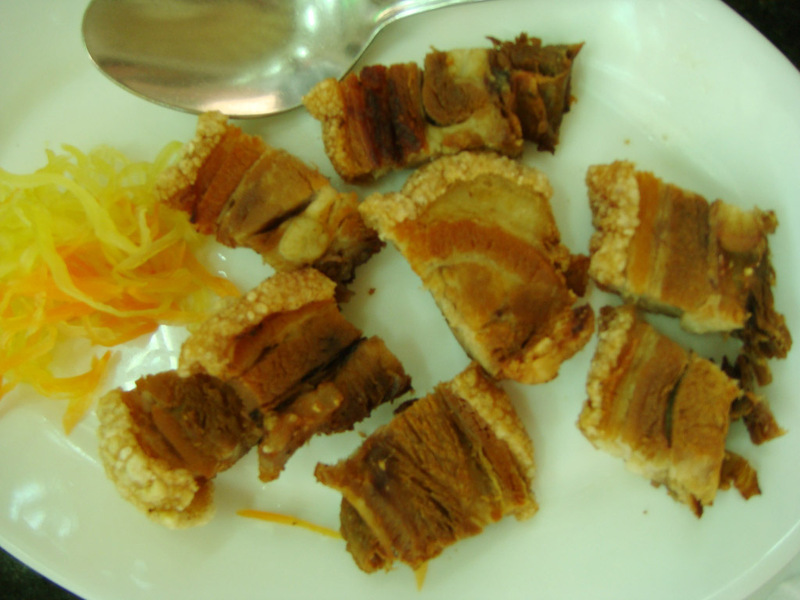 The Lechon Baboy (Philippine roasted pig) that I ate at restaurant was delicious. 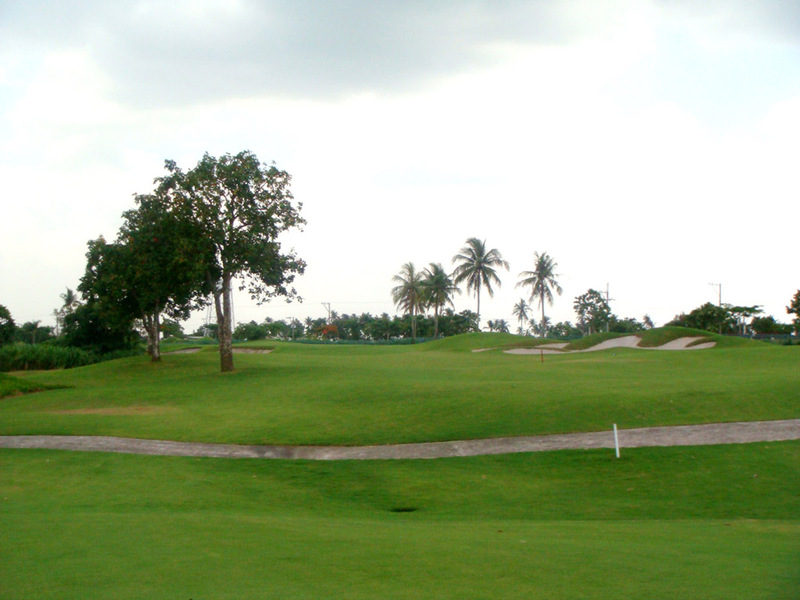 The other Greg Norman- designed courses in Asia are Nirwana Bali GC, River Side GC, Tering Bay G&CC, Laguna Bintan GC in Indonesia, Thana City G&CC in Thailand, Shirasagi GC in Japan, Jade Palace in Korea and Kai Kou (Xiamen) GC, Mission Hills GC – Norman Course in China.